Catechumen Joshua Ingersol of St. Cyprian Parish in Philadelphia meets Archbishop Charles Chaput during the Rite of Election March 8 at the cathedral. 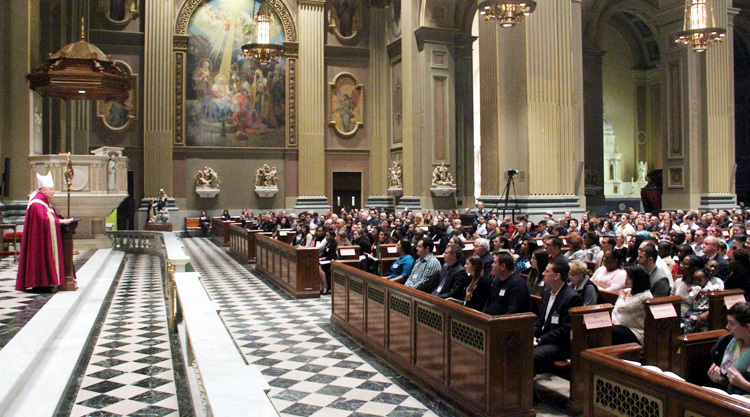 Almost 700 people from 135 parishes in the Archdiocese of Philadelphia are preparing to enter full communion with the Catholic Church this Easter. 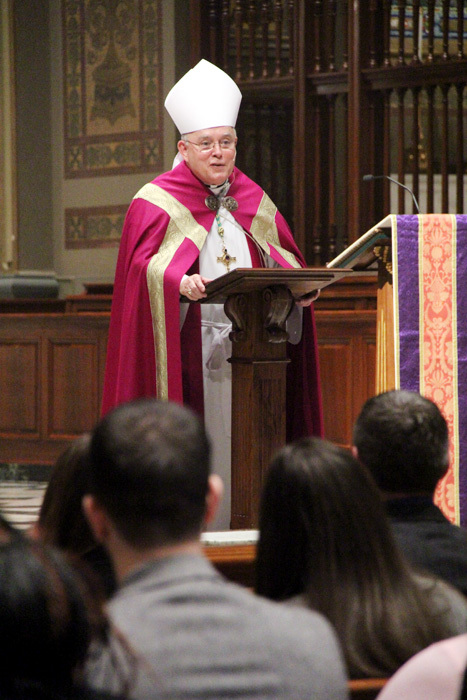 Archbishop Charles Chaput met and encouraged them in the Rite of Election held at the Cathedral Basilica of SS. Peter and Paul, Philadelphia, March 8-9. There are 309 catechumens preparing to enter the Catholic Church through reception of the sacraments of baptism, Eucharist and confirmation, plus 386 candidates who have already been baptized and will receive their remaining sacraments of initiation into the church. All are studying at their parishes with sponsors, pastor and parishioners in the RCIA process (Rite of Christian Initiation of Adults). 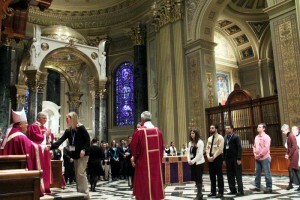 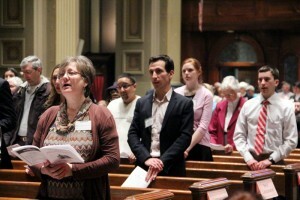 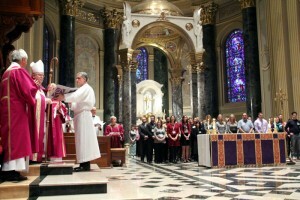 The cathedral hosted two liturgical celebrations Saturday, March 8. 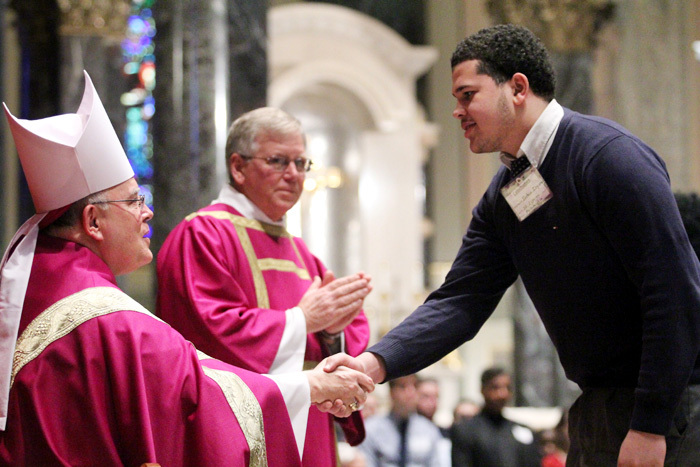 The afternoon rite included 47 parishes in Montgomery County and Philadelphia-South for 78 catechumens and 116 candidates. An evening rite included 45 parishes in Bucks and Delaware counties for 74 catechumens and 134 candidates. An afternoon rite on Sunday, March 9 included 43 parishes from Chester County and Philadelphia-North for 157 catechumens and 136 candidates. 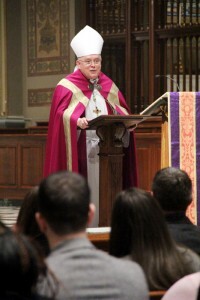 Archbishop Chaput preaches the homily. 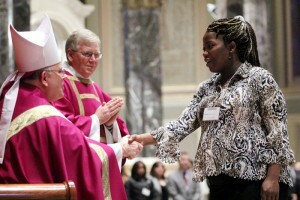 Catechumen Mercy Dah from St. Barnabas Parish, Philadelphia. 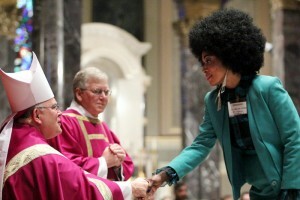 Catechumen Pauline Vickers of St. Cyprian Parish in Philadelphia meets the archbishop. 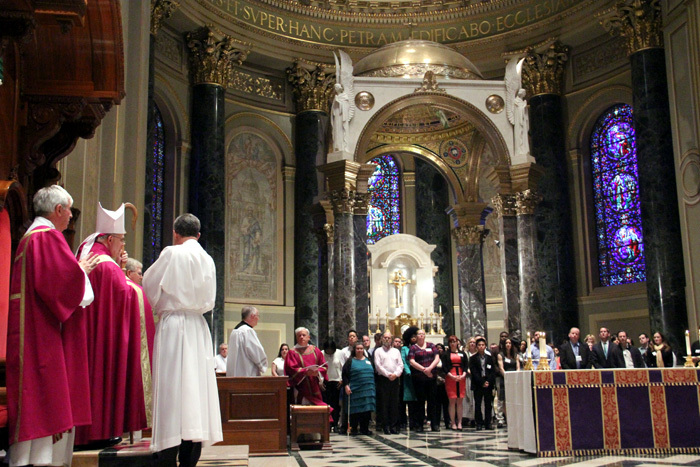 Sponsors for the catechumens attest publicly that they are ready to receive their sacraments of initiation in the church. 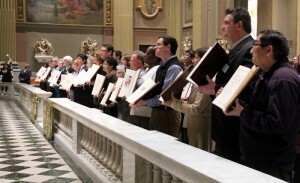 Catechumens respond to the call to continuing conversion to Christ, part of the rite of election and the RCIA process. 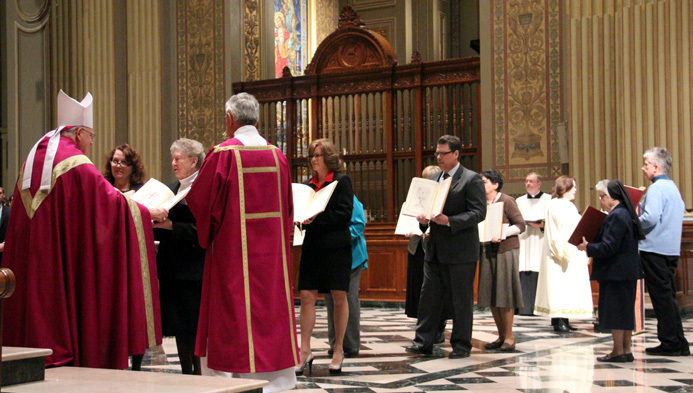 Representatives from each parish present their book of names for enrollment to the archbishop. Representatives from each parish show their book of names for enrollment in the Rite of Christian Initiation of Adults (RCIA). Candidate Christopher Scott Gale from St. Francis Xavier Church, Philadelphia. Candidates for full communion in the church, who have already received baptism, wait to meet the archbishop. 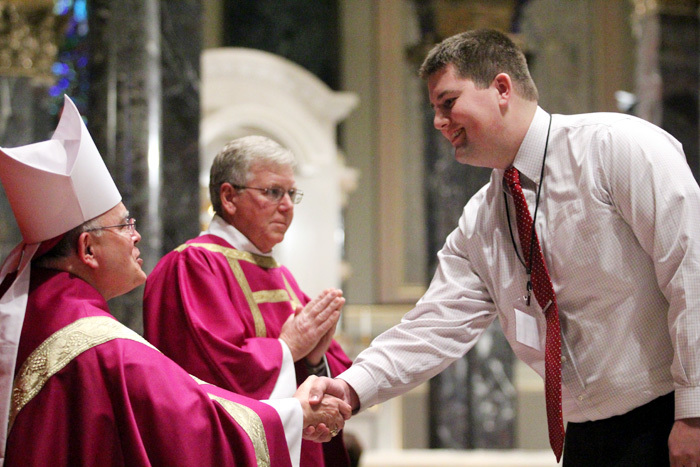 All the candidates receive a blessing by the archbishop.